Holistic Way High Potency 1000mg Timed-Release Antioxidant Vitamin-C is a powerful antioxidant. It has added natural Citrus Bioflavonoids; plant components known to help improve circulation and appearance of Varicose Veins, that comes in a timed-release form which gradually supplies Vitamin C throughout the day. 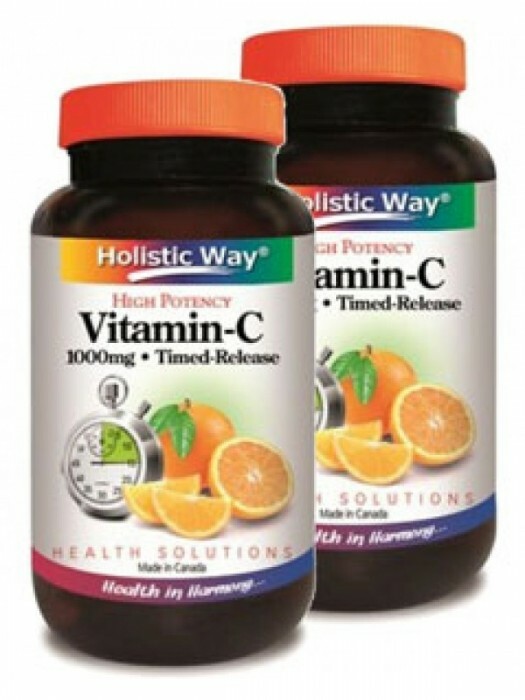 Vitamin C supports healthy immune system functioning, eases cold, flu and stimulates collagen growth. This timed-release antioxidant formulation also helps maintain healthy capillaries, skin, bones, gum and teeth and promotes wound healing. Vitamin C also acts as a detoxifier, cleansing the body of toxins and helps prevent free radica damage in the body. 1-2 caplets daily or as directed physician.